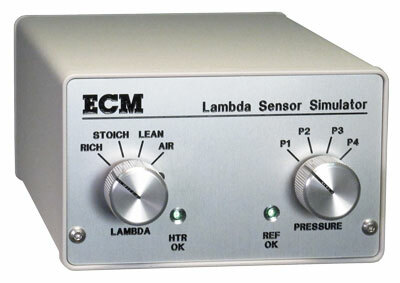 To verify accurate operation of the LambdaCANp module, ECM offers its AFR & Pressure Sensor Simulator (SIM700). The AFR & Pressure Sensor Simulator is connected to the LambdaCANp module in place of the AFR and pressure sensors. 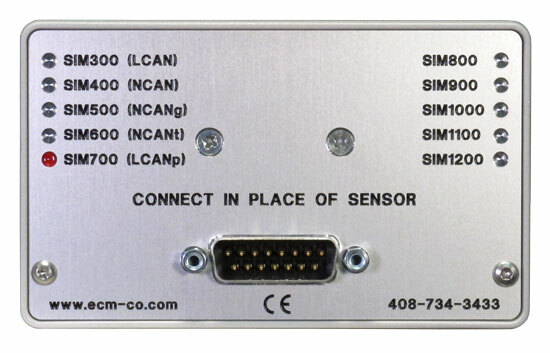 The simulator outputs simulated AFR and pressure sensor signals and tests the module's sensor heater control circuit and the module's AFR and pressure calculation hardware and software. The simulator is a calibrated device that can be returned to ECM for scheduled calibration verifications.